Have you wondered why it’s not possible to import or upload some video files of yours onto your mobile device? 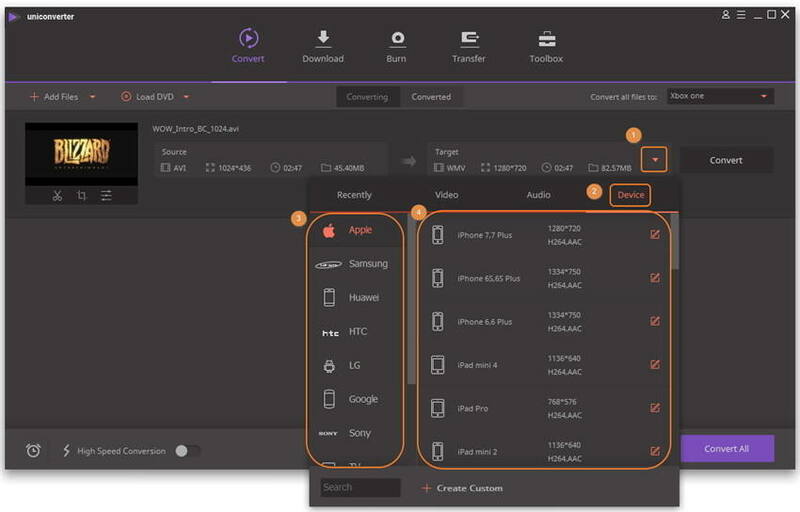 Have you ever check in advance whether the videos are stored in a container or file format that’s supported by your brand and model of device? Are the video and audio codec compatible? Just spare a few minutes to read this article and you’ll be able to watch almost any type of videos formats on your Nokia Lumia 900 by the end of it. Sometimes, it’s not only due to the unsupported video containers or codec, but it’s probably the actual file size (like those of an AVI) that’s distorting the playing back of videos on your device. Whatever that is, the Wondershare UniConverter (originally Wondershare Video Converter Ultimate) might just be your solution. Other than converting your videos at an amazing 30times faster, you can also convert your files in batches. There’s also the built-in editing function to your convenience if you ever need to edit your videos prior to conversion. It’s not uncommon for us to not know about the best video settings for our mobile phones. The majority tends to just download it from online streaming sites or plug-in the USB cable for a quick transfer from the PC. However, you can save much time with the presets in the Wondershare UniConverter (originally Wondershare Video Converter Ultimate). Instead of searching for the recommended video settings for your device, you can simply choose from the accommodated presets. 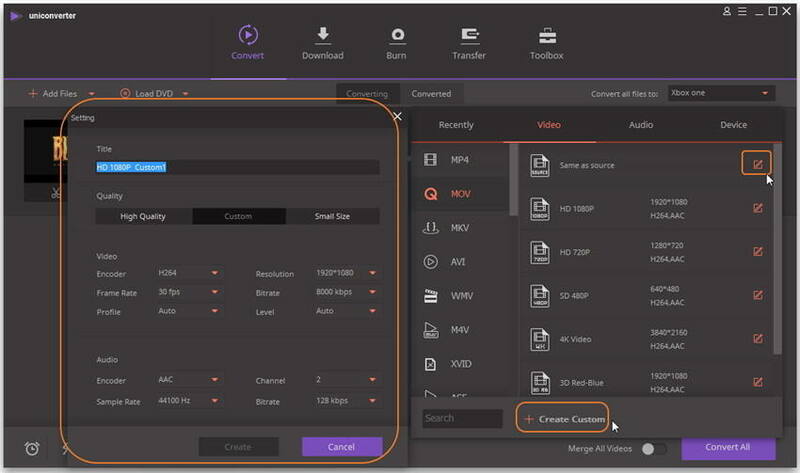 All you need to do is drag-and-drop in your video files once the installation has completed. After that, click the icon from the Target box and choose Device > Others > Lumia 900. If you would like to import or upload your videos to a different brand or model of device, simply browse through the presets available. If you want to access more details to your video, simple click the + Create Custom(right in the bottom of the output format list).